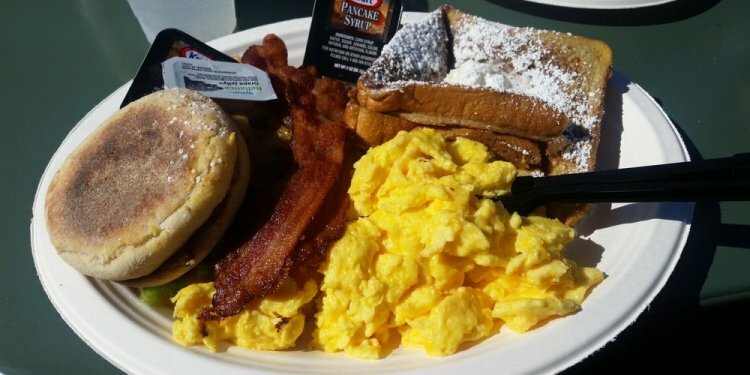 Perched adjacent to Crystal Pier on the Pacific Beach boardwalk since 1991, Kono's Surf Club Cafe — one of Eater's essential breakfast spots — draws perpetual lines for its affordable all-day breakfast menu. After 25 years, the eatery has finally expanded, although they haven't left the neighborhood that loves them. Longtime Kono's manager Pablo Sanchez has partnered with Kono's founder Steve Bettles to open Konito's Cafe, which just open a mile east of the original Kono's in the Pacific Plaza shopping center on Garnet Avenue. Manager Joe Bettles says they chose to keep the second Kono's in Pacific Beach to accommodate their local clientele who may not want to contend with the crowds of tourists that flock to the beachside location. This outpost, which is open from 7 a.m. to 3 p.m. on weekdays and 7 a.m. to 4 p.m. on weekends, serves virtually the same menu at the exact same prices; a few new dishes include a veggie scramble, chorizo breakfast sandwich and chicken quesadilla.